Matthew Emery (b. 1991) is a multi award-winning composer. Originally from London, Ontario, he currently lives in Vancouver, British Columbia where he is studying Music Composition with Dr. Stephen Chatman at the University of British Columbia. Emery's choral works have been performed numerous times across North America and have even been heard on CBC Radio 2's “Choral Concert” and have also been broadcasted on live television. His choral works have been performed by all levels of ensembles from school groups, church or community choirs right up to professional vocal ensembles. 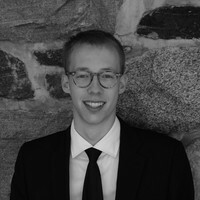 Matthew has received recent performances by the Canadian Chamber Choir, Vancouver Chamber Choir, University of British Columbia University Singers, University of Louisville-Kentucky Collegiate Chorale and the Nova Scotia Youth Choir. Matthew has choral publications with Alliance Music Publications, GIA Music Publishing and Pavane Publishing.